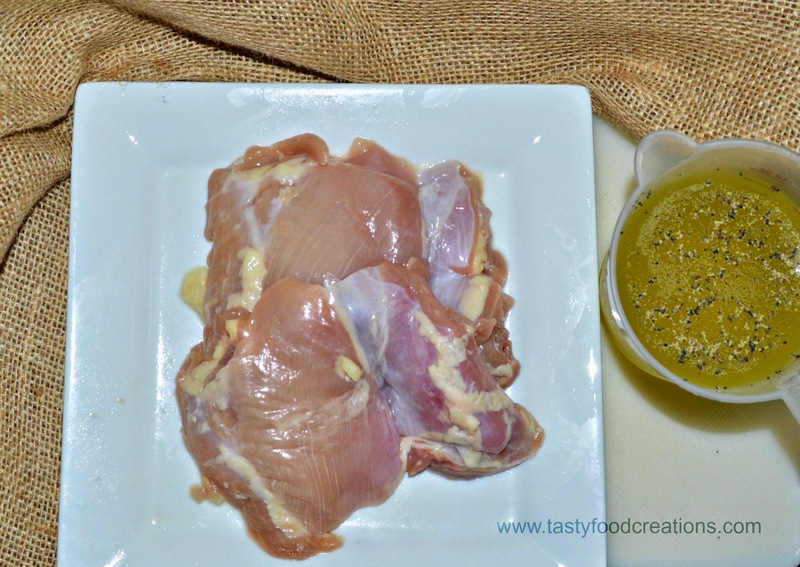 Place Chicken in the bowl pore pickle brine, season with half teaspoon each salt and pepper. 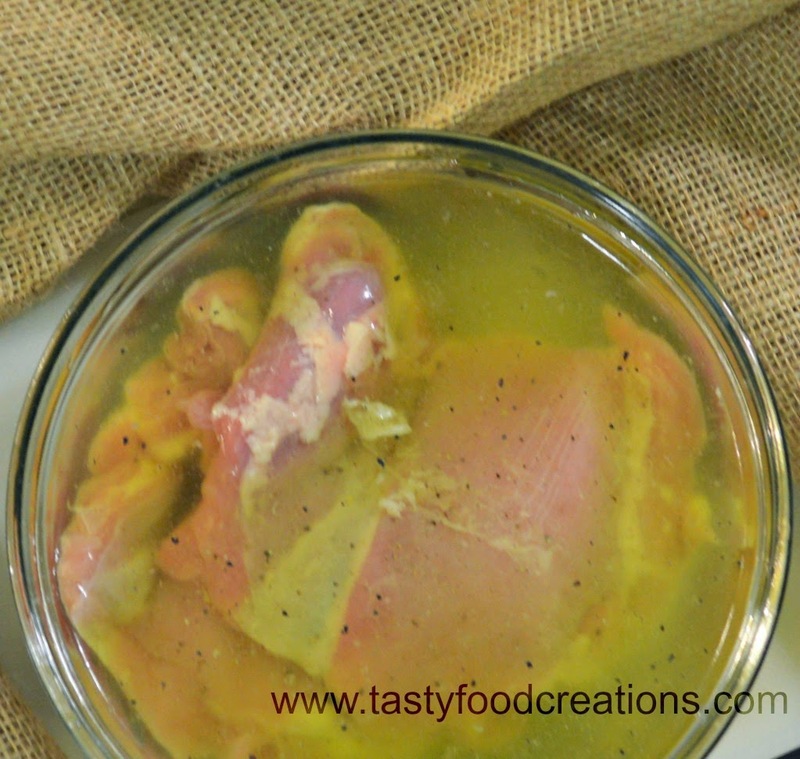 Brine chicken from 30 mins to overnight. Season chicken with the rest of salt and pepper and sprinkle it with flour. (You don't need a lot of flour just a thin layer so it could get better crust on it). 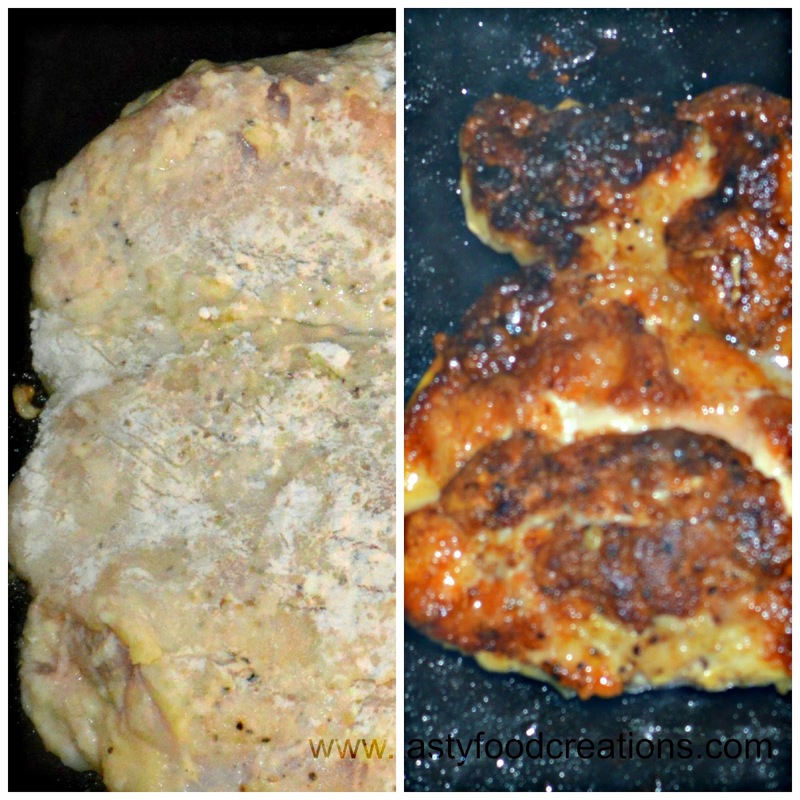 Brown Chicken thighs on both sides on medium-high heat, once it's brown lower the heat to medium-low and cover it. Cook chicken until it reaches the internal temperature of 165°F. 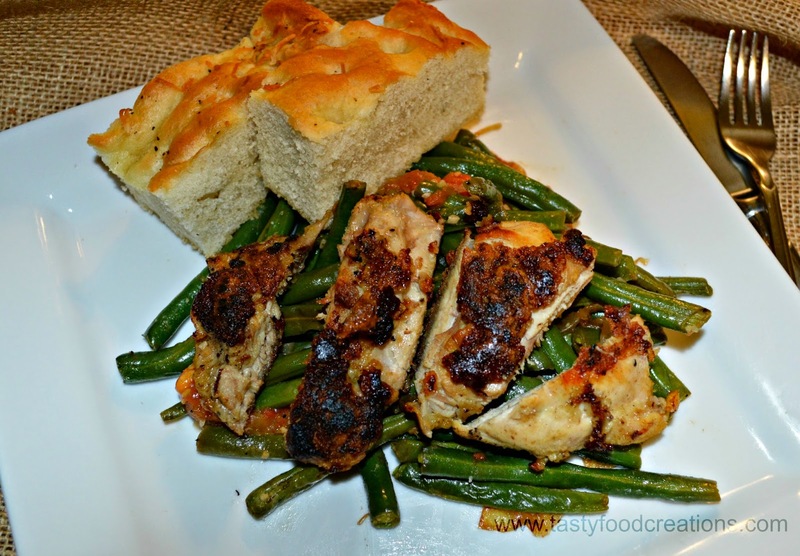 Serve chicken with your favorite side. 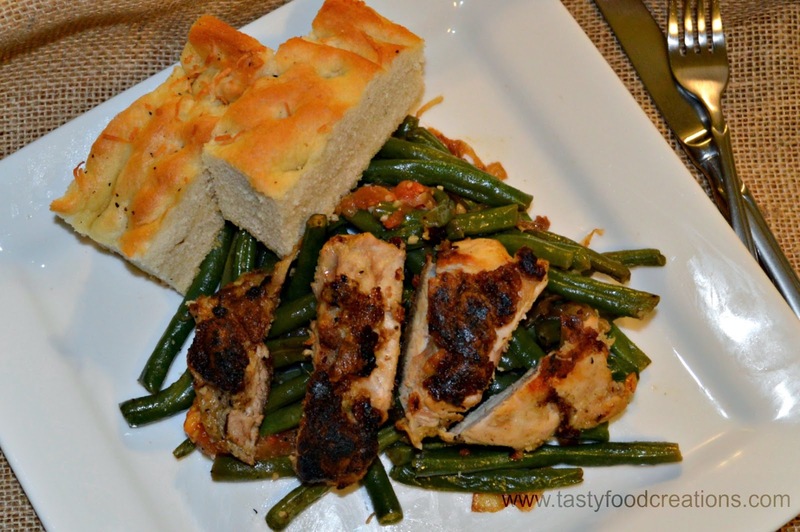 I served it with sauted green beans and toasted focaccia bread. This meal combo was just Scrumptious. Enjoy! You can find sauteed green beans recipe here.